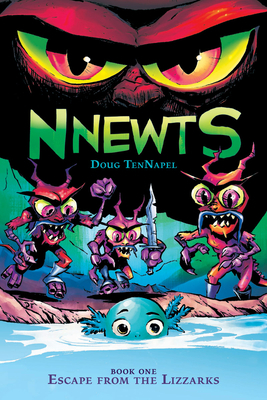 Doug TenNapel was raised in the town of Denair, California. In 1994, he created the popular Earthworm Jim. Doug's graphic novel GHOSTOPOLIS was a 2011 ALA Top Ten Great Graphic Novel for Teens, and his follow-up, BAD ISLAND, was a 2012 ALA Great Graphic Novels for Teens as well as one of School Library Journal's Top 10 Graphic Novels of 2011. Doug lives in Franklin, Tennessee. *"TenNapel has crafted another rip-roaring adventure with wide audience appeal."